Find out more about our new movie, “The Good News About Dementia Care,” in the blog about the movie in our Resources section of our website. 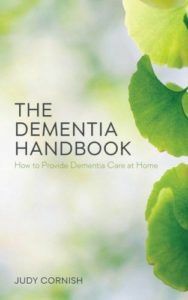 The Dementia Handbook: How to Provide Dementia Care at Home is now available for purchase (as a hard copy or Kindle version). Purchase The Dementia Handbook at Amazon.com. Providing dementia care is profoundly stressful for families and caregivers. People with dementia or Alzheimer’s experience emotional distress, which leads to behavioral complications and the need for institutional care. However, if families and caregivers are able to identify the emotional needs caused by dementia and understand which skills are lost and which remain, they can lower the behavioral complications and their own stress.